You wake up in an old, decayed prison cell, in a seemingly old building, but you don´t have any memories. While searching for answers you have to go through a big unknown building. But it is not a normal place. At the beginning, you only see some weird creatures at the end of the aisle, they disappear and approach, but soon you´ll realize, that nothing is imagination! The creatures move very slowly to you and there is no way to run away. But something is strange... It doesn´t seem to be a normal building, because you always encounter rooms and items and they are not normal. 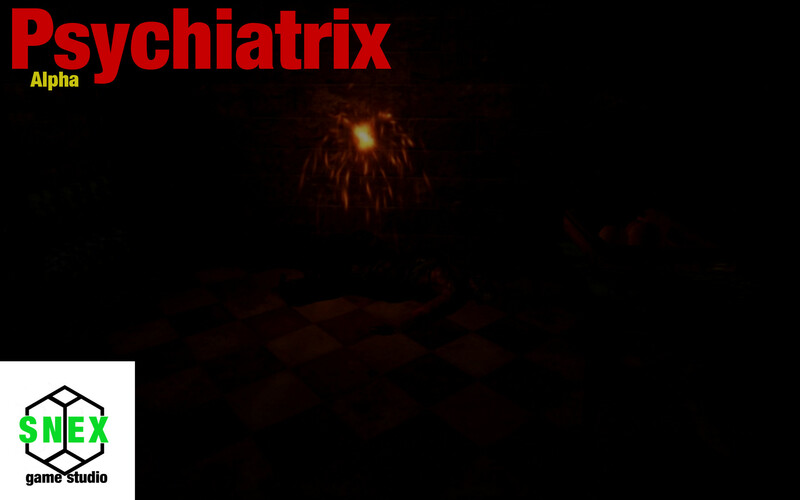 Experience an exciting story in Psychatrix, where you have the opporturity to explore the background story while being in the game´s world. There is no direct solution for the story. You can theorize what, why, where and when this happened... so you can interpretate it by your own! The first version of Psychiatrix is out for 30 days today! This week, we have made some progress again. Our concept artist Rattay made drawings for the face and the hand. BigK continued working on the room this week, about which I still can not say anything. ;) Next week he will make a concept art for the new kitchen. Grump started texturing the level. We hope that we can upload our progress to the git which allows us to finish the level with final models and lights soon. Foors (who made the restroom) is currently working on the office. I don't have many screenshots for you this week because our modellers were busy on other things but I hope I can show you more next week! We changed the release date for the next update to April. I can't tell you an exact date but we have an internal deadline for the update! Next week, I will talk a bit about the new item view system. Stay tuned! A new week, new features. We have many new things to show you this week!